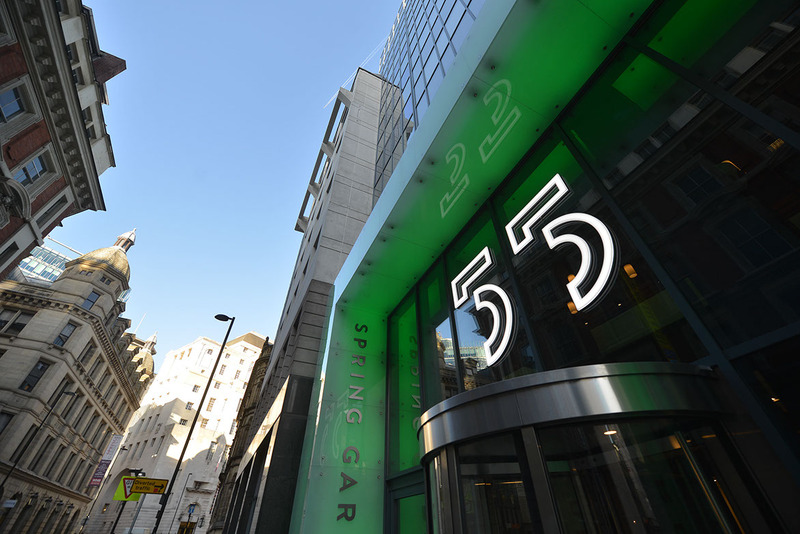 55 Spring Gardens is a stunning new Grade A office space in the heart of Manchester. 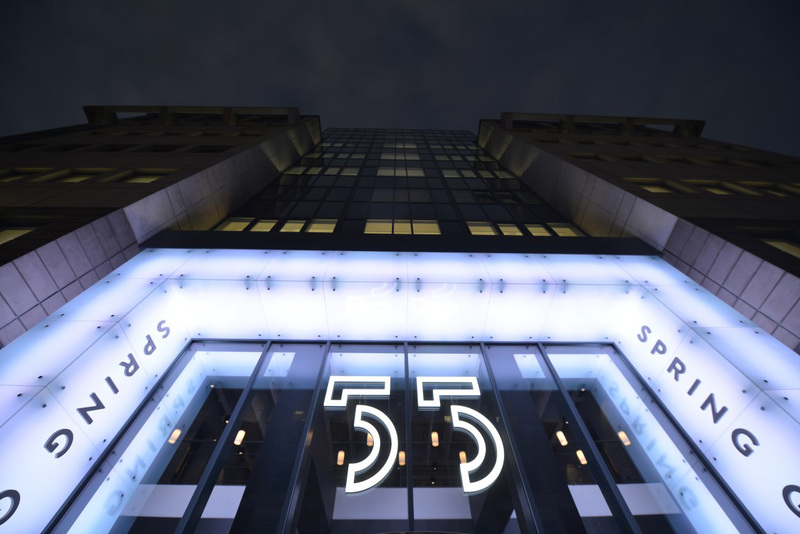 As part of the extensive redevelopment of 55 Spring Gardens, MBE Glazing Systems Ltd. were appointed as curtain walling supplier and installer including the illuminated colour changing entrance portico. The main feature of the scheme is the impressive glass portico entrance featuring colour changing illumination and bespoke stainless steel numerals internally lit. We attended regular design team meetings to discuss the project and progress . Insider North West Property Awards 2016 recognise the role of the occupier, developer and the professionals that create stand out workspaces. It seeks to highlight the importance of building refurbishments or fit-out and interior design in putting the regional property industry in front of its competitors.